The tenants left her there to die without food or water for weeks before she was finally found. He may have been neglected longer than predicted. Back in early November 2018, local authorities were serving eviction notices in a neighborhood located in Fort Lauderdale, Florida. Children told them about Dice, who was caged up and left outside an abandoned apartment. His previous owners had already moved out and left him in the backyard, locked up without food and water. The police questioned the children on how long the dog had been there, and they replied maybe he was there a week or more – but it was not the case. “He was not fed properly for months. 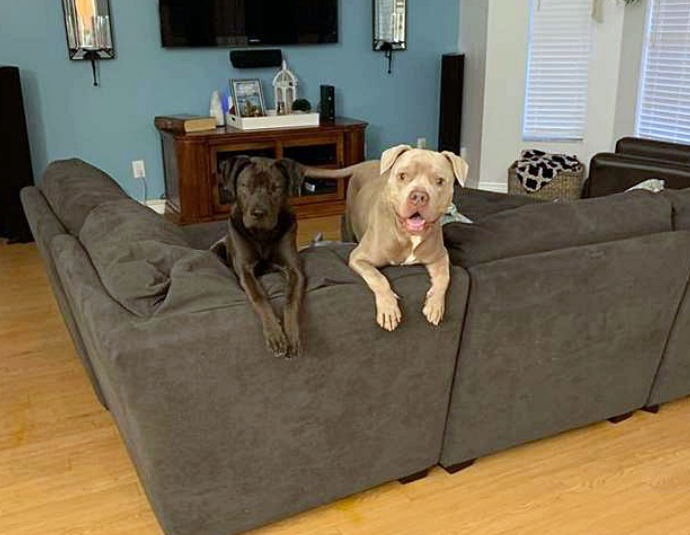 The last week would have just been the final deterioration,” said Tracey Godin, the co-founder of Feeling Fine Rescue in Loxahatchee, Florida. 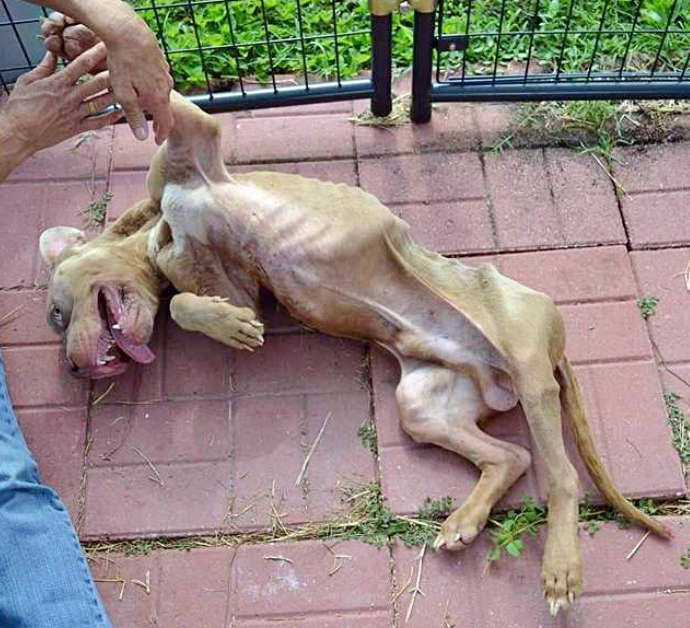 3-year-old Pit Bull Mix, Dice, had probably been neglected for a long time. The police officers phoned animal control, who transported Dice to a local shelter. Godin’s friend, a volunteer at the shelter, spotted Dice and snapped some photos of him which she sent to Godin. Godin and her daughter Micaela fetched Dice from the shelter the very next day, and rushed him to an animal clinic. He was not able to walk about 5 to 6 feet without falling over – just when he took one step to get up on the sidewalk, Dice was unable to withstand his body weight and collapsed. 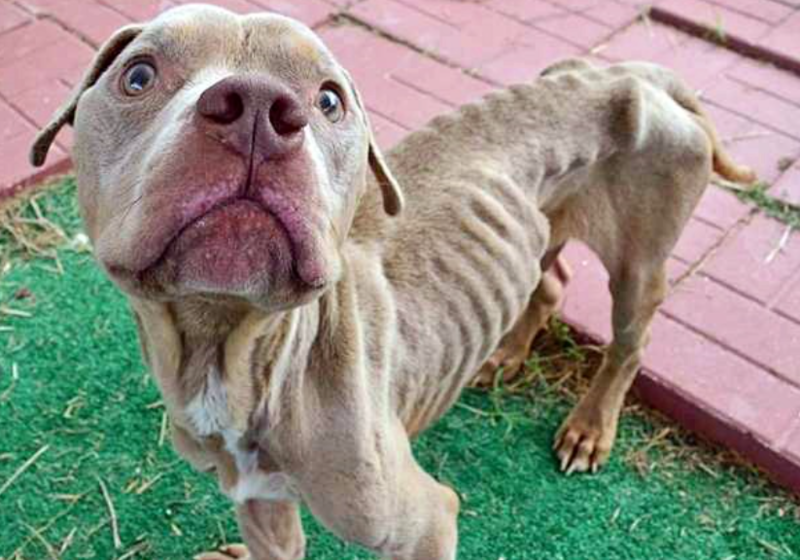 He weighed a mere 30 pounds even though it should have been a healthy weight of at least 65 pounds – Dice was dehydrated and anemic without any muscle mass left on him. Once Dice regained some healthy weight, he resided at Feeling Fine Rescue, which was owned by both Godin and her daughter. Dice’s face also glowed with happiness as he recovers. Dice’s good luck was not about to end just yet. One month later in late December, he caught the eye of a family who were looking to adopt a third dog. 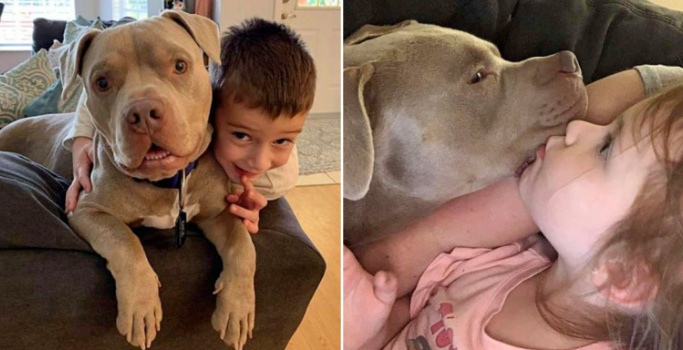 They came to visit him several times and proceeded to ask if they could do a meet-and-greet with their two current dogs in their home – it was a huge success. Dice got along with the family’s two other dogs and bonded very closely with their two small children. After 2 weeks, Dice went home with them on a foster-to-adopt basis. Just a few days in, the family decided that they wanted Dice to stay – permanently! 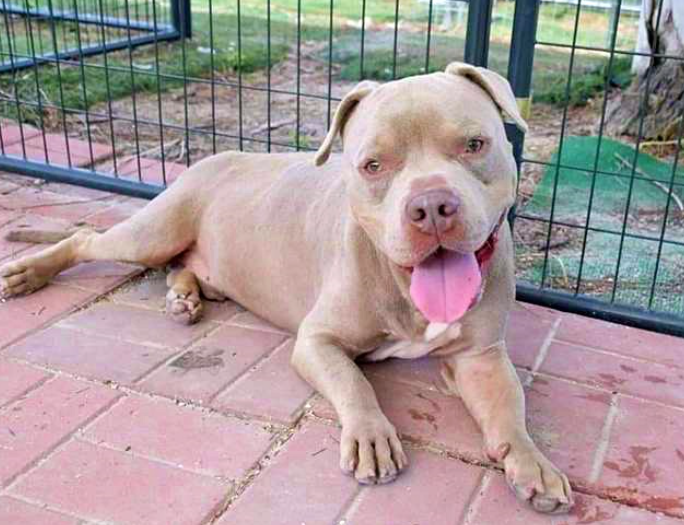 Dice now has a great and loving forever home – and he’s here to stay!